Last year we had a massive 2000 open bottles for you to try by the dram. The only problem you might run into at the Gathering: there are to many bottles to choose from. Yes it is a strange problem to have but you might recognise this from your own collection. You buy more then you drink…. Well the same thing happens at the Gathering: there are more bottles to choose from then there is time to try them. But we have weekend tickets if one day is not enough. How to pick the right whisky? There are different types of exhibitors and with that also different types of bottles to be found. Ranging from to be released bottles to old & rare whisky bottles. So if you are looking for a dream dram or looking for yet to be released bottles, we have them all. But how do you find the right bottle? 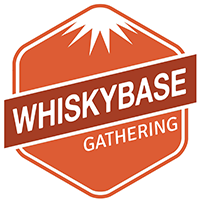 A few weeks before the event on the 19th and 20th of October we release an overview with all the whiskies that are available by the dram at the Gathering. You can add these to a wishlist and see which exhibitor offers the whisky. During the event it will be easy navigate the venue and visit the exhibitors you pre selected. There will be drams in every price range starting at €1 all the way up to €300 for a 2cl pour.